Healthier. It's How We Install. Ever thought about the installation of your floors? Carpet One Floor & Home® has developed the first antimicrobial flooring installation system that inhibits allergens, dust, mildew and mold to improve the health of your home. 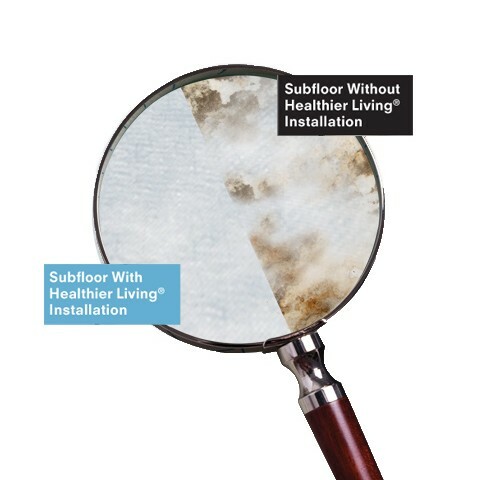 From carpet to hardwood to laminate to tile, Carpet One’s Healthier Living® Flooring Installation System delivers superior antimicrobial protection for every flooring choice. So take a deep breath and set your mind at ease. And don’t forget our Double Wear and Texture Warranties on all carpet installed with our exclusive HealthinEx® cushion. Our exclusive installation process delivers a superior level of care for you and your family, and is only available at Dalene Flooring Carpet One at no extra charge. Carpet One’s antimicrobial flooring installation system is a breath of fresh air for your home. 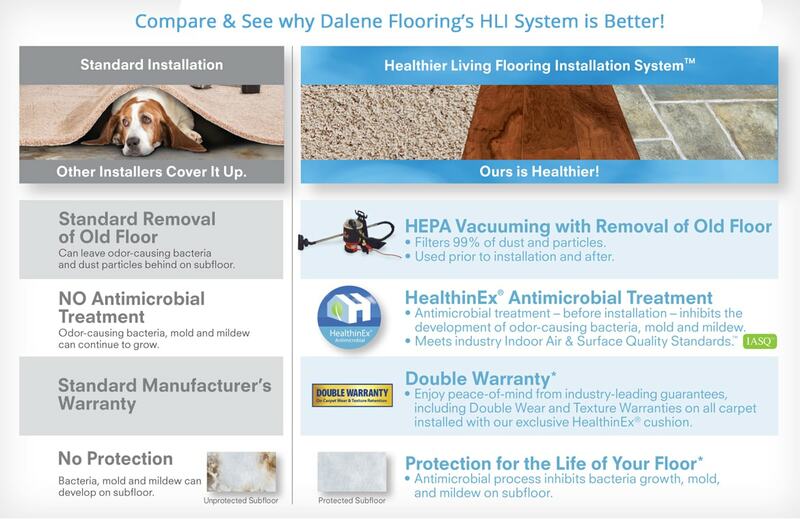 From HEPA vacuuming before and after installation, to treatment with HealthinEx® antimicrobial spray, you’ll see and experience the difference a Healthier Living Installation makes. Why cover up the mildew, mold and dust when you can inhibit their growth – forever. Want a jump start on your project? Our company has been serving Connecticut families and communities with flooring since 1949. As a fourth-generation family business, we are committed to providing a wide selection of flooring and services from design to installation all backed by our Beautiful Guarantee®.